Victor Vet Care is a privately owned full service animal hospital for cats and dogs. We provide comfort and care to our furry friends like they are part of our family. With a certified Fear Free staff we put the emotional and physical needs of our patients first. 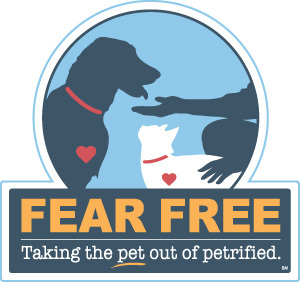 Using a Fear Free model means that we strive to not only reduce the anxiety of a vet visit, but we work to calm and relax our patients so that every visit can be a great visit. If your family pet is anxious about a vet visit call us today to discuss ways we can help reduce that stress even before they step one paw in the office. Victor Vet Care is the culmination of a life time dream and a long career of constantly learning how to treat pets right.